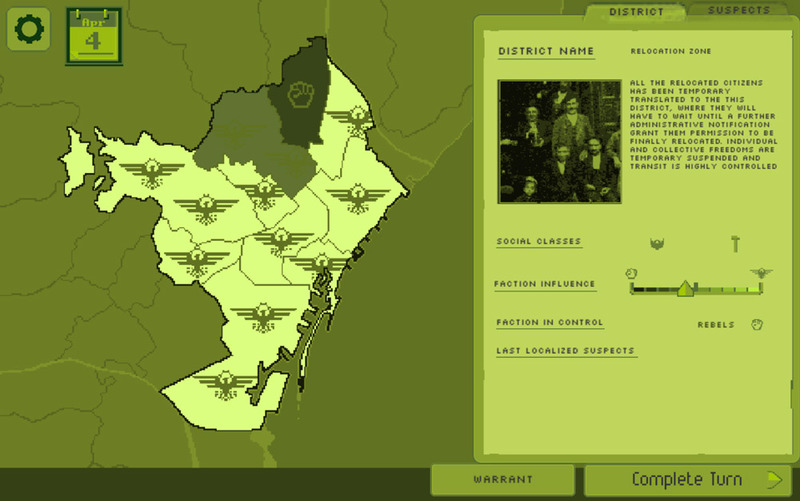 "A strategy game where you must rule with an iron fist." 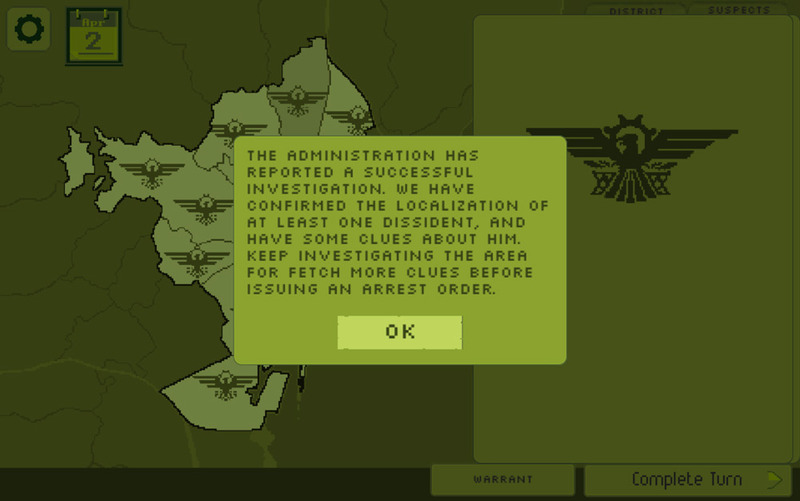 Komissar seemed very familiar when starting to play it, the dramatic music the greenish pixelated graphics bringing memories of a Soviet era and your job is as some sort of government official working for the ministry of truth and you must issue warrants to stop an uprising in the country, of course the game it reminded me of and that it seems to take a lot of influence from is Papers, Please which was a fantastic game sadly Komissar doesn’t match up to that amazing game, mostly because it’s really hard to figure out exactly what is going on and what you should be doing. 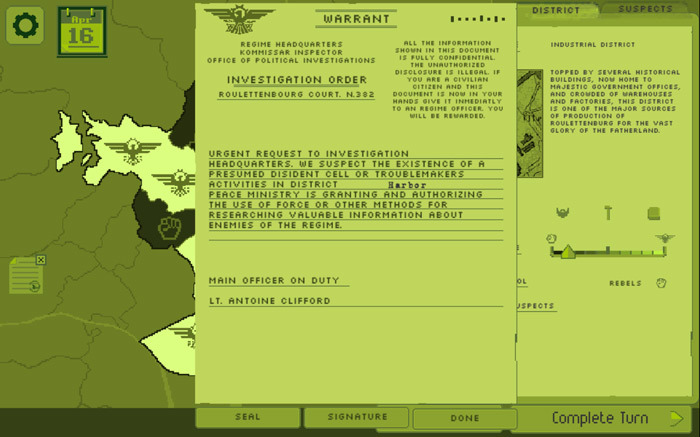 You know you have to issue warrants and there are a few different types you can issue whether it be to reinforce the area, start an investigation or bring someone in to police custody along with a few others you can also do as the game progresses but what you should do and when is very difficult to figure out and you may well just find yourself issuing warrants left, right and center without really knowing why and hoping the country doesn’t get overrun by rebels because if you are not doing the correct thing you will see as different parts of the country start to be taken control of by rebel forces or at least I think that is what is happening. Another issue is and I understand the developer’s first language is not English but this may go a long way to explaining why it is so hard to understand what is going on, there is potential in this game to be a very intriguing strategy game but it would be great if there was some kind of tutorial to help you get started rather than just throwing you straight in at the deep end. You can download Komissar here for free, perhaps you will have more luck working out what to do if so feel free to leave a comment below.